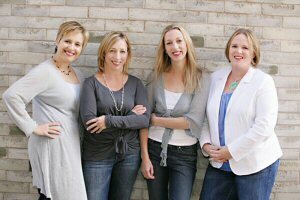 The four co-founders of Mabel's Labels, the leading personalized label company, were awarded the coveted RBC Momentum Award this evening at The 2009 RBC Canadian Woman Entrepreneur Awards Gala. These top business awards recognize the nation's most outstanding women entrepreneurs, and this year they saw a record 1500+ nominees. The gala was held on Tuesday, December 8, 2009 at the Fairmont Royal York Hotel, Toronto, with Master of Ceremonies, Diane Francis, Editor-at-Large for the Financial Post. "In seven years of business, we grew from hand-addressing shipping envelopes to overseeing a vibrant company with a growing staff, and multi-million dollar annual sales," says Company spokeswoman and co-founder Julie Cole. "Remarkably, Mabel's Labels sales continue to increase 85% annually." Cole says, "While our growth and vision is worldwide our business supports the local economy through job creation, supplies acquisition and community involvement." Mabel's Labels' co-founders state that their potential to grow is unlimited, as they continuously create new products, expand their markets and increase their public profile. "We strive to channel our achievements into wider models of success and having thrived throughout the recession, as winners we would be proud to inspire other Canadian businesses and, particularly, burgeoning women entrepreneurs," adds Cole. The women claim that their success is possible while balancing family and community roles and responsibilities. "Proud carriers of the 'mompreneur' banner, we have nurtured both a successful company and 12 children between us. 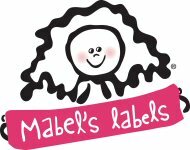 Mabel's Labels is not our baby - we have plenty of those - but was conceived and shaped by our vision and is growing strong." Four Hamilton, Ontario moms started Mabel's Labels when they got tired of their children losing their belongings or getting them mixed up with those of their friends. They decided to create durable and fun labels that would help organize everyday life. Today they continue to come up with innovative ways to label everything from clothing to containers, for children and adults alike. They have also expanded to include kids' stationery sets and seasonal items. The company has been widely recognized for the accomplishments of its owners as well as its products, including through The RBC Canadian Woman Entrepreneur Awards, the 2007 SavvyMom "Mompreneur of the Year" Award and Best Product Awards from Baby Gizmo, iParenting and PTPA Media. Mabel's Labels sells its products online at www.mabel.ca or by phone at 1-866- 30-MABEL. The company also distributes through camps, child care centers and school fundraising drives. Please visit http://www.mabel.ca for more information. About this company Mabel's Labels Inc.